This post is dedicated to the incredible activist film maker Chris Bedford who introduced me to the sad and insidious world of food politics. He guided me – and thousands of others – to the possibilities for making our world sustainable. Today’s blog is controversial…Chris always loved controversy. Fats? Seriously? We’re supposed to avoid them, right? They clog our arteries and make us unhealthy. Especially animal fats. NOT! Many people ask me what the first step toward better health is – I say switch out your fat. In my studies and travels I’ve met a growing number of very healthy people who understand the dire importance of good fats in the diet. But I’ve found the majority of people who live in my beautiful corner of the world, the Lakeshore of West Michigan, don’t have a clue. So I write this for them. The rest of you, nod your head and say “yup”. Our bodies need fats. 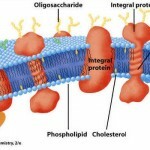 And saturated fats, those dreaded rascals that the American Heart Association and American Cancer Society have been warning us against for decades, are in EVERY cell in your body. Our heart, nerves, hormones and brain need them everyday. Has the advice we’ve been getting all these years shown a dramatic decline in cancer and heart disease? Let’s be honest…No. That’s because our cells are starving. 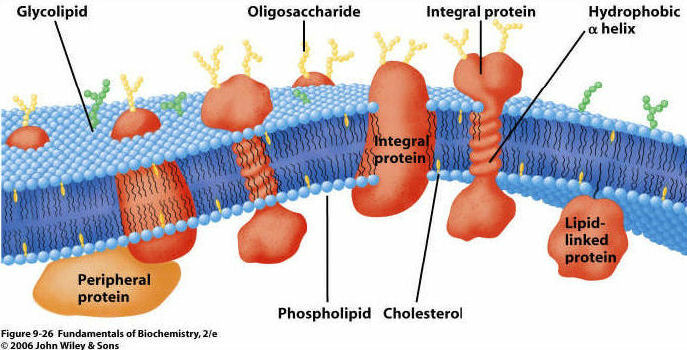 Look at any anatomy book and you’ll find that saturated fats and cholesterol form a key part of the outer edge (membrane) of all the cells that make up YOU. So we have been encouraged to swap out animal fat with vegetable oils that aren’t healthy at the cellular level. Our poor cell membranes don’t get what they need to stay pliable and do their jobs in relation to the cells around them (cell signalling). After years of consumption of these liquid vegetable oils we end up with problems all over the body – immune system disruption, heart disease, memory issues, cancer and more. Yes, other lifestyle factors contribute to these concerns also, but why increase your risk? Dr. Mary Enig, the world renowned expert on the biochemical structure and effect of fats in the body discusses the issue at length in this interview, if you want to know more (and you REALLY should). No, you won’t see this on television or in the mass media because there’s no money in it. At least not for big business. But the truth is coming out, thanks to organizations like the Price Pottenger Foundation and the Weston A Price Foundation and the Internet (as long as we remain uncensored). Well done Dr. Enig!! How sad that so many young people’s eyes were damaged because the advice we were given was flat out wrong. How long is it going to take to get this truth into the mainstream? 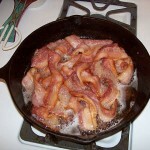 We must be aware of the QUALITY of the fats we eat. The fats from a grassfed cow are going to be healthy and the fats from a feed-lot cow eating GMO grains grown with pesticides and then filled with antibiotics and hormones are going to be VERY different. The organic extra virgin coconut oil that our cells thrive on and that can be safely heated to high temperatures is miles ahead of the rancid refined vegetable oil on the grocery store shelves that gets further damaged when we cook with it. We’ve been sick long enough. It’s time for a change. The very first step I recommend is get rid of those truly dangerous fats and start adding in the coconut oil and fats that come from critters raised outside naturally. 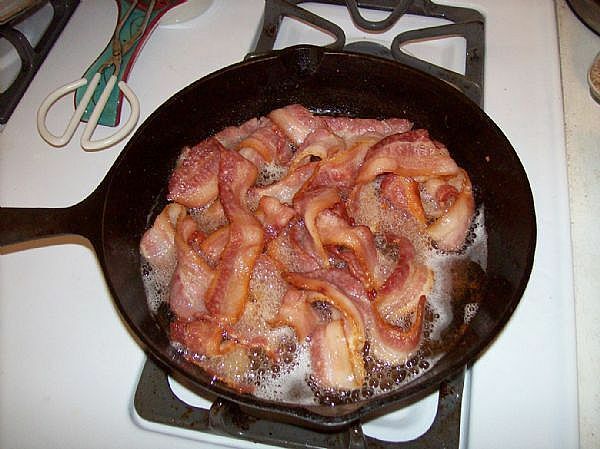 By the way, grass fed bacon grease is one of THE most tasty ways to add flavor to your casseroles and stir-frys. We’ll talk about the superfood cod liver oil some other day.